Mazzei Electric Ltd. is a family owned and operated electrical contracting business that has been operating on Vancouver Island since 1994. 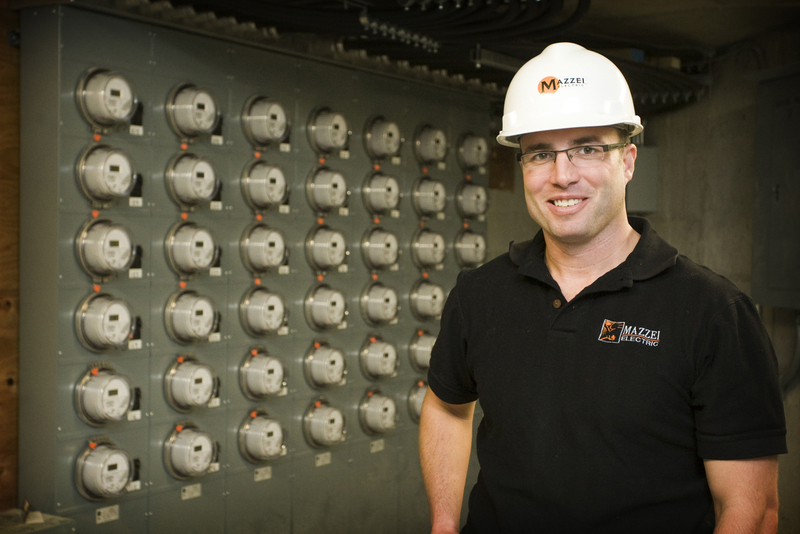 The Company President is third‐generation electrician Ben Mazzei who began working for Mazzei Electric in 2002. Mazzei Electric specializes in residential, commercial and industrial installations and services and provides extensive commercial experience, timely troubleshooting and analytical skills, as well as vast experience in repair and maintenance. The company takes on a wide variety of projects from residential services to large scale commercial projects and everything in between. Having our corporate head office in Nanaimo means that we are centrally located on Vancouver Island and are able to offer service to customers from as far north as Campbell River, west to Tofino and additionally we have office in Victoria to cover the south island and Fort St. John to service Northern BC. This central location allows our employees to take advantage of all that Vancouver Island has to offer. We are a surrounded by countless opportunities for hiking and camping. Employees are situated in a place where they can easily access beaches for surfing, kayaking or paddle‐boarding in the summer and also mountains for skiing or snowboarding in the winter. Mazzei Electric has over 170 employees across British Columbia; we recognize that our primary asset is people. To be successful, Mazzei Electric must be a rewarding place to work. We provide opportunity and encouragement to help our people work in a professional environment which inspires them to reach their full potential. We work together as a team and strive to build long‐lasting relationships. Mazzei Electric fosters a culture that embraces the need for change, improvement, and innovation. We are proactive in finding solutions to help both our employees and our clients achieve their goals. One of our core values is safety. Mazzei Electric recognizes the right of all employees to work within a safe and healthy working environment. We are committed to the health, safety, and well‐being of all of our staff and customers, and continuously strive towards the goal of an accident‐free workplace. Mazzei Electric’s goal is to be the best and to continually improve. This is accomplished by providing high value products and services that we stand behind, ensuring customer satisfaction, and a future for our employees through continued growth.